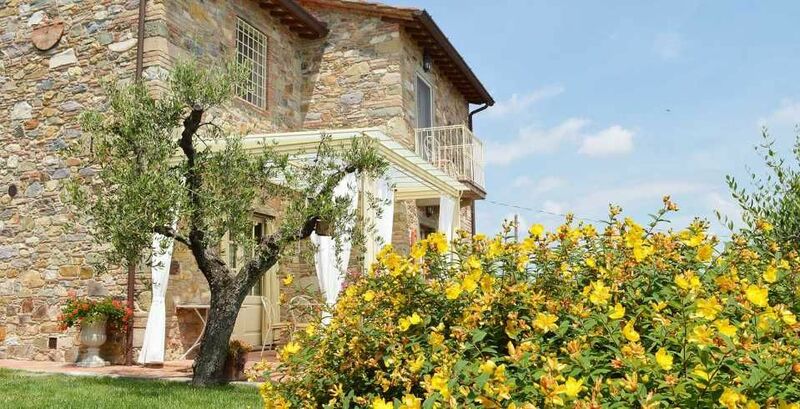 This pretty farmhouse is located 2 km away from Castelvecchio di Compito, a small Medieval village on the hills between Lucca and Pisa. 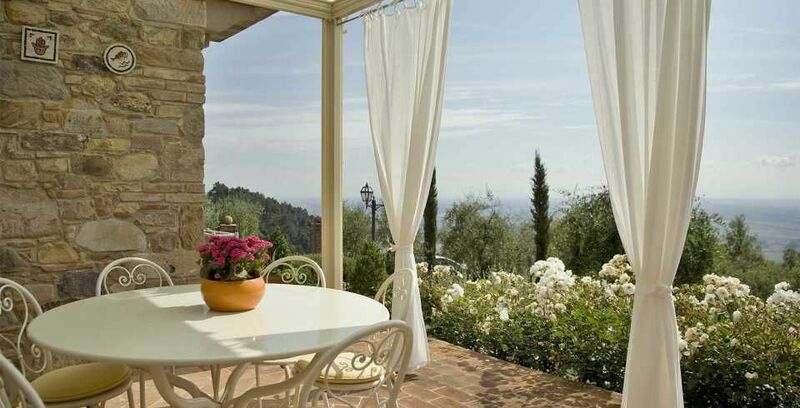 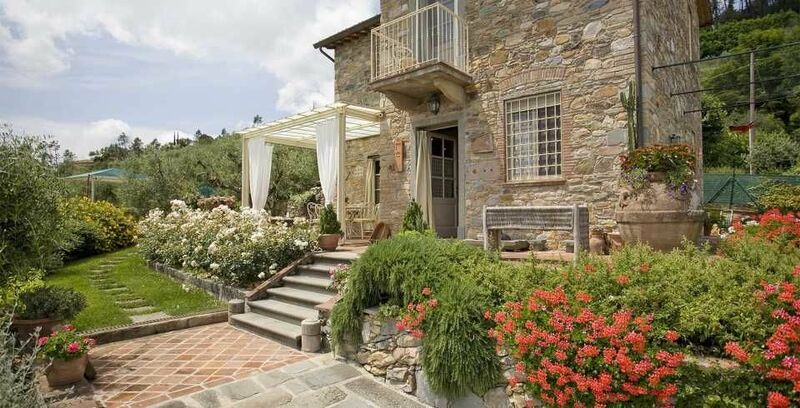 The area, known as ‘Compitese’, is renowned for its fine olive oil and for its beautiful camellias. 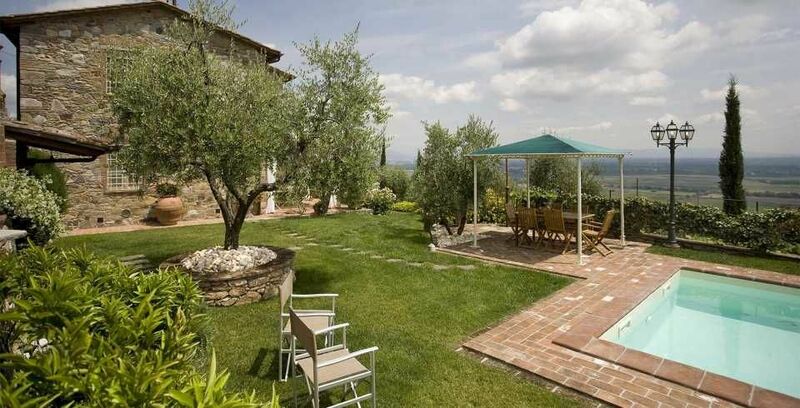 The house is placed in a very quiet position and enjoys magnificent views on the surrounding countryside and the plane below. 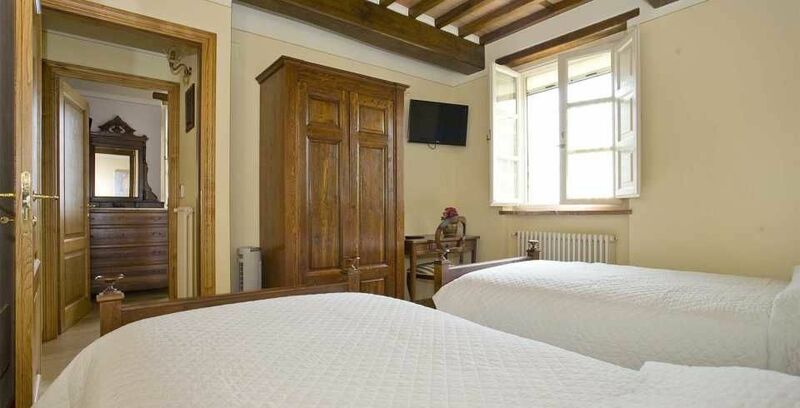 During the restoration work they took great care in using only authentic Tuscan materials and they furnished the interiors with a nice combination of antique furniture and modern facilities, including flat screen TV in each room. 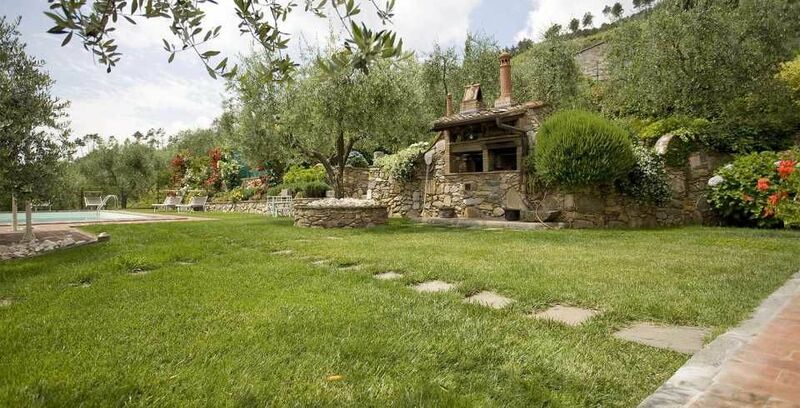 Particular attention was given to the kitchen/dining area, very light, comfortable and well-organised, and to the outside eating area, close to the stone-built barbecue and pizza-oven, where to enjoy out-door meals with beautiful views. 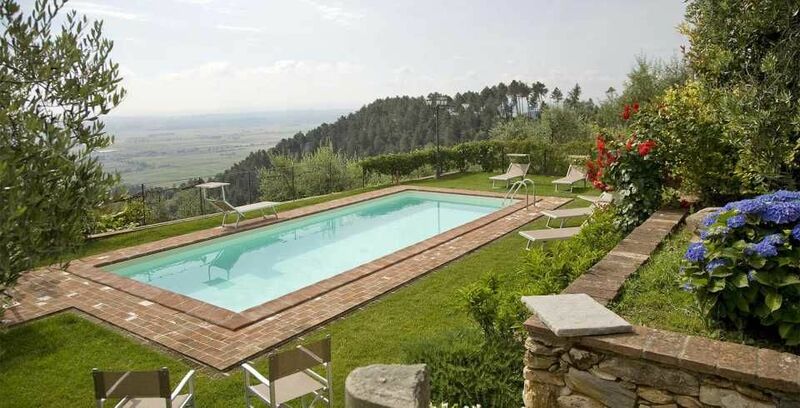 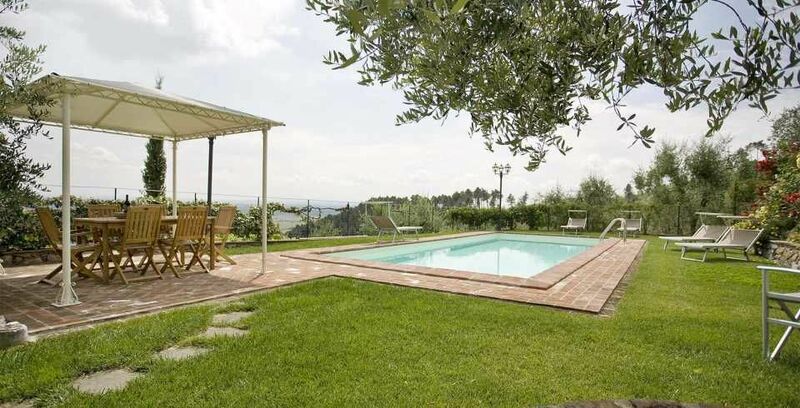 The swimming pool is placed in the most panoramic position on the very well-kept garden. 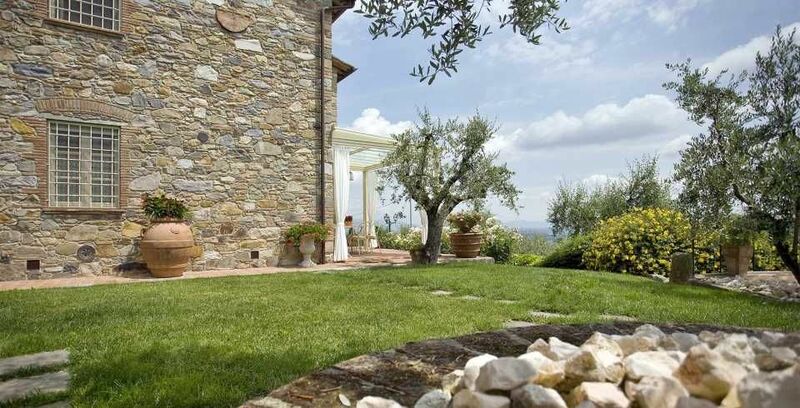 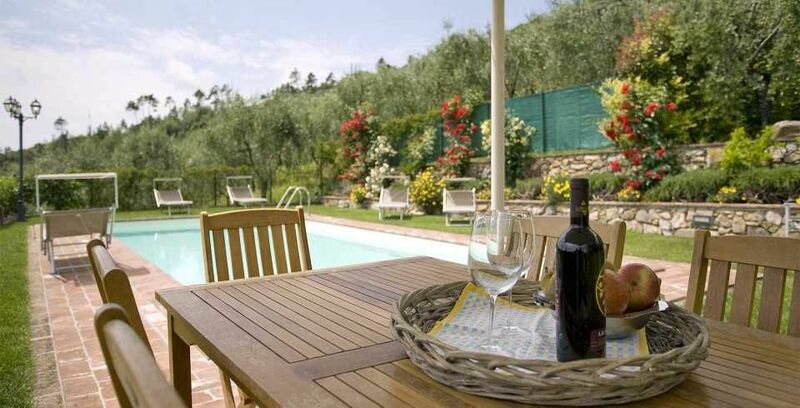 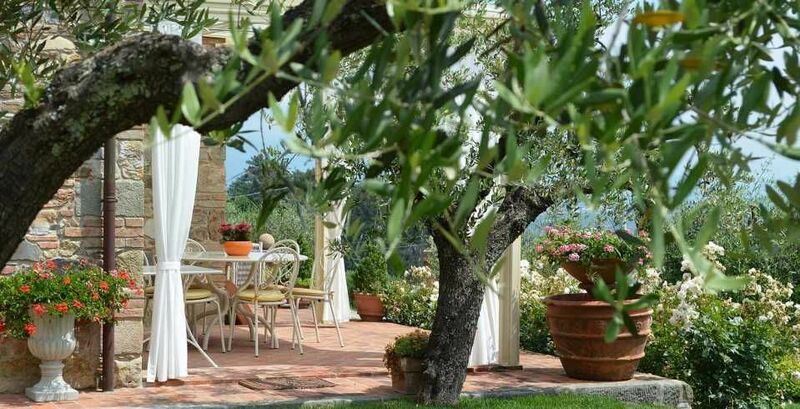 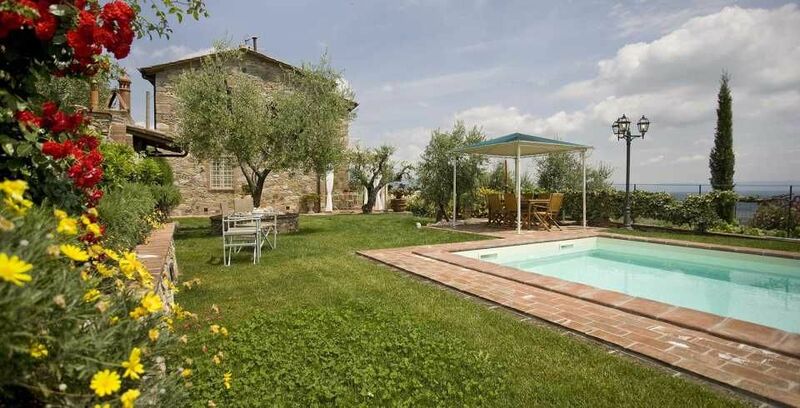 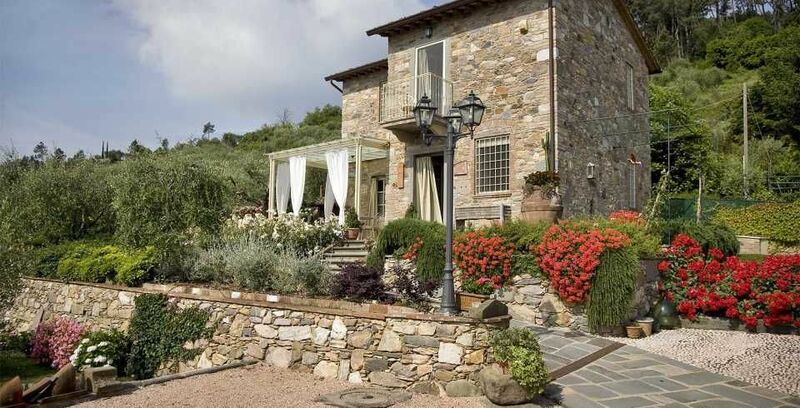 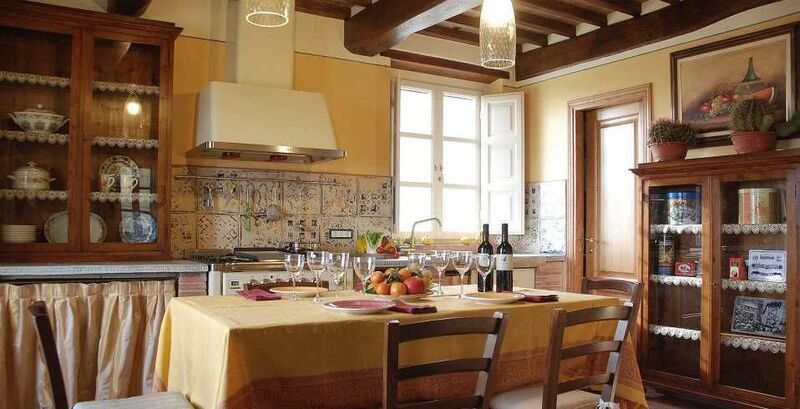 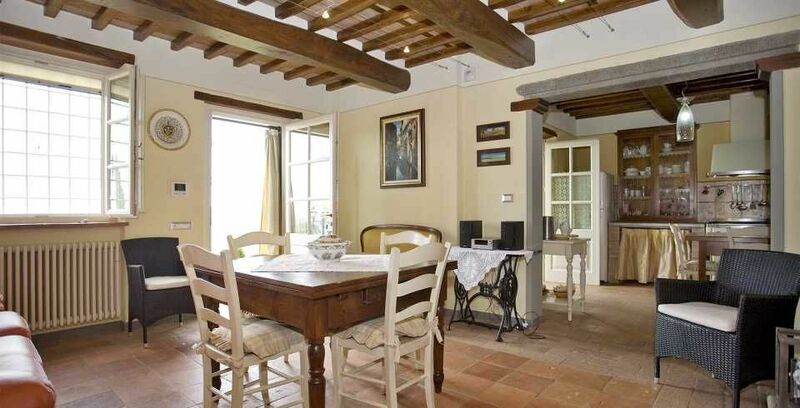 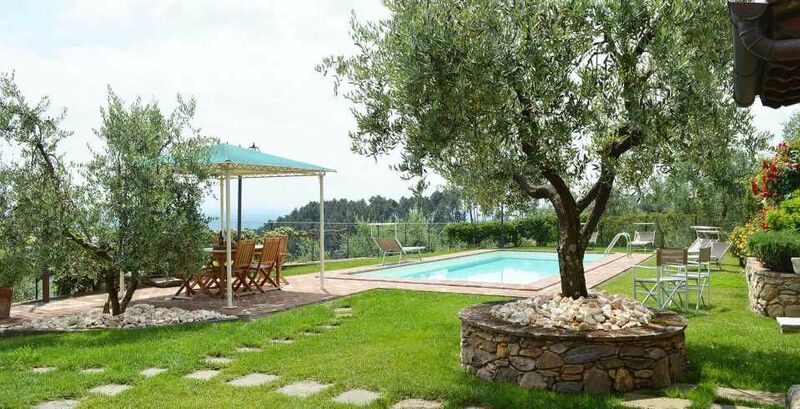 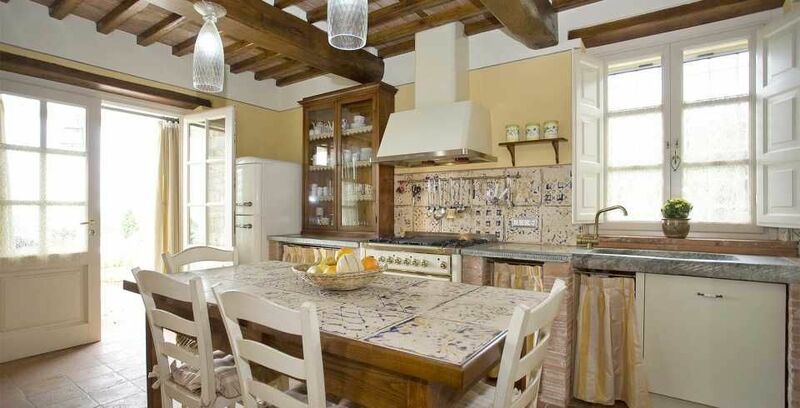 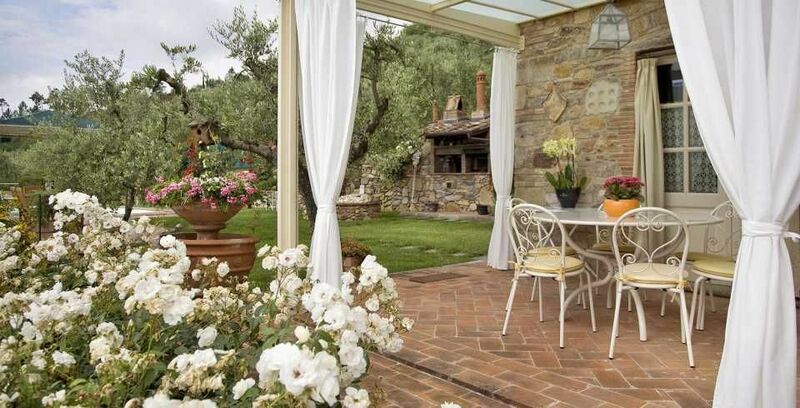 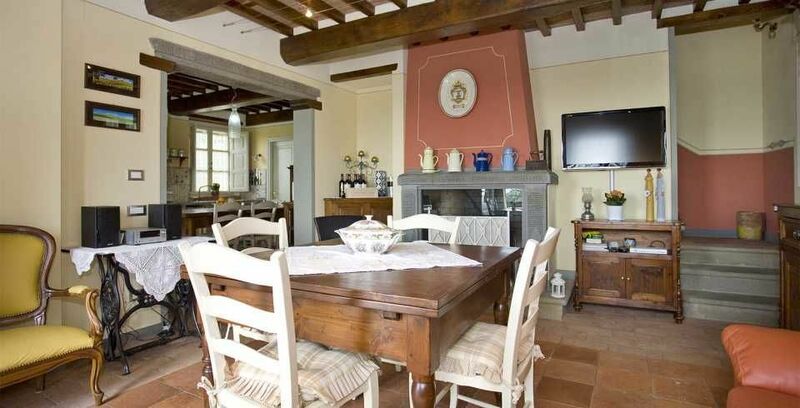 This property is a real oasis of peace and the ideal spot to relax, yet still ideally located for visiting some of Tuscany’s most famous towns. 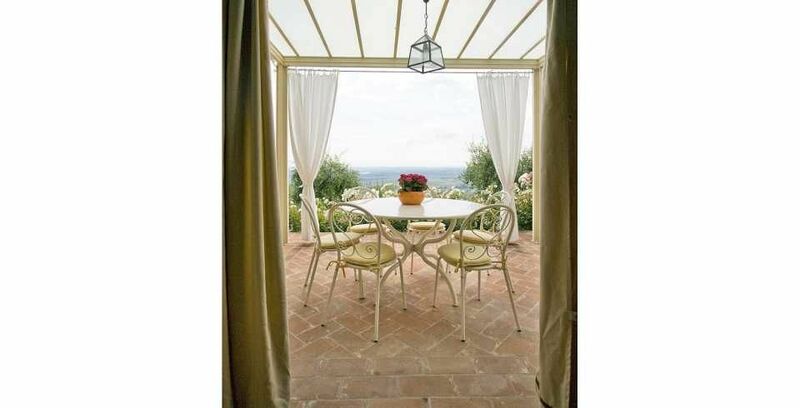 Ground Floor: Living/dining room, opening on to the garden; kitchen opening on to the garden and outside eating area; pantry; guest bathroom. 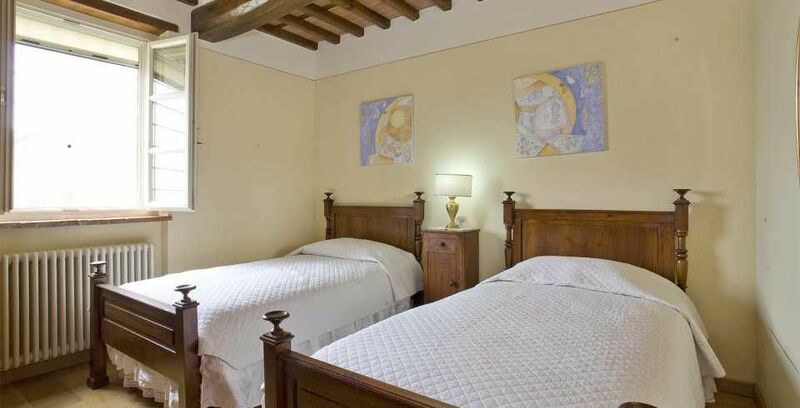 First floor: Double bedroom with en-suite bathroom (shower only); twin bedroom; bedroom with French bed; bathroom (shower only). 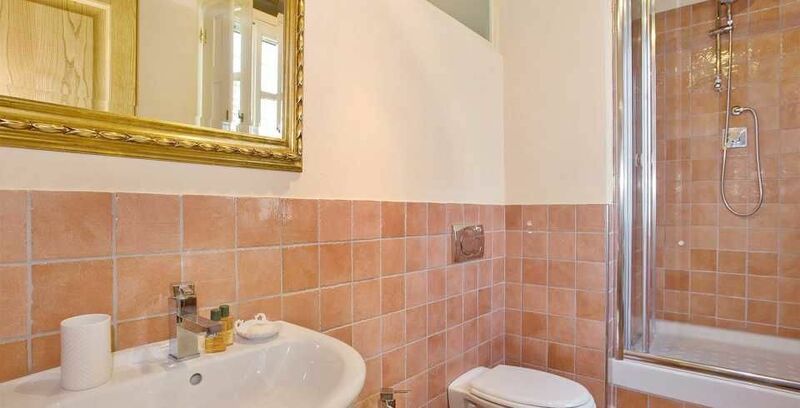 6 hours maid service included per week. 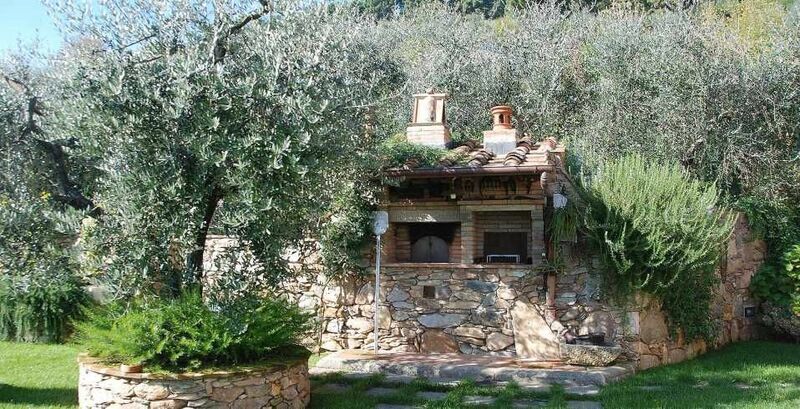 Wifi, Sat tv, DVD, central heating, BBQ, stereo. 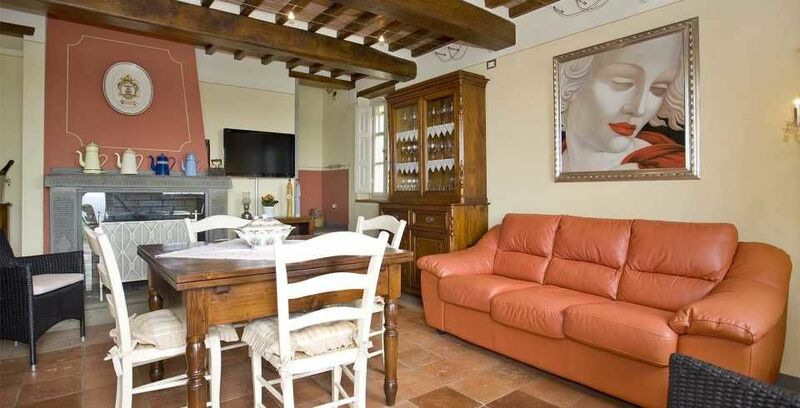 Security deposit to be paid in cash, or signed travellers cheques, on arrival 500 Euros.